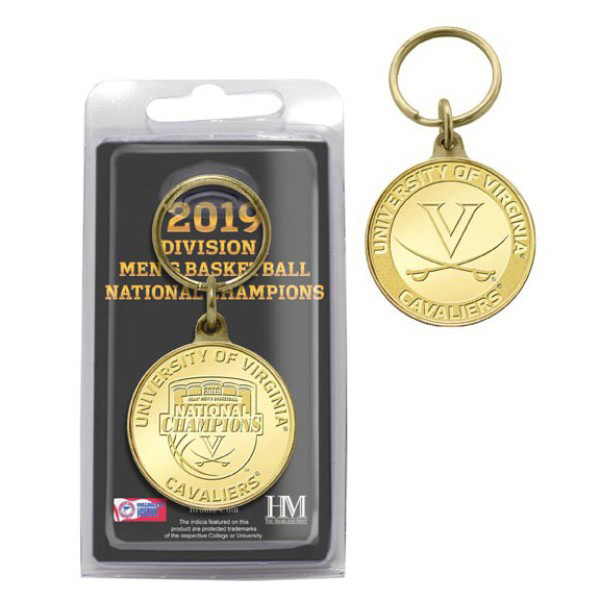 This solid bronze coin keychain is minted with the official 2019 NCAA Men's Basketball National Champions commemorative logo on the front and the back is struck with the school’s logo. It measures 39mm in diameter, the approximate size of a silver dollar. The bronze coin keychain is officially licensed and proudly made in the U.S.A. by The Highland Mint!